The uilleann pipes (pronounced Illan), originally known as the Union pipes, are the characteristic national bagpipe of Ireland. The uilleann pipes bag is inflated by means of a small set of bellows strapped around the waist and the right arm. 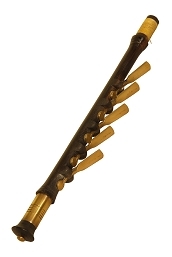 The bellows not only relieves the player from the effort needed to blow into a bag to maintain pressure, they also allow relatively dry air to power the reeds, reducing the adverse effects of moisture on tuning and longevity. Some pipers can converse or sing while playing as well. 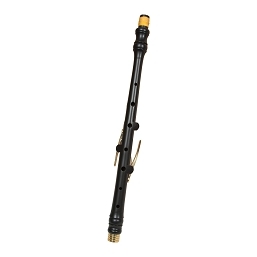 The uilleann pipes are distinguished from many other forms of bagpipes by their sweet tone and wide range of notes — the chanter has a range of two full octaves, including sharps and flats — together with the unique blend of chanter, drones, and "regulators." The regulators are equipped with closed keys which can be opened by the piper's wrist action enabling the piper to play simple chords, giving a rhythmic and harmonic accompaniment as needed. There are also many ornaments based on multiple or single grace notes. 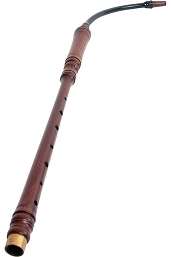 The chanter can also be played staccato by resting the bottom of the chanter on the piper's thigh to close off the bottom hole and then open and close only the tone holes required. If one tone hole is closed before the next one is opened, a staccato effect can be created because the sound stops completely when no air can escape at all.